This coffee is only available in very small quantities. They only roast this on Tuesdays and Wednesdays. So when you order, please know that it will ship the Tuesday or Wednesday after it roasts. This coffee is only available here, our retail area at the bean plant and of course at our Coffee Lab: 42 & Lawrence. Experiment No. 54 has flowed through the experimental phase and is now Magic #7. Thank you all for your feedback on this blend! Ready for a well balanced cup of coffee? Try this out! This coffee is only available here on our website, our retail area at the bean plant and of course at our Coffee Lab: 42 & Lawrence. ** PLEASE NOTE** They only roast this on Tuesdays and Wednesdays. So when you order, please know that it will ship the Tuesday or Wednesday after it roasts. 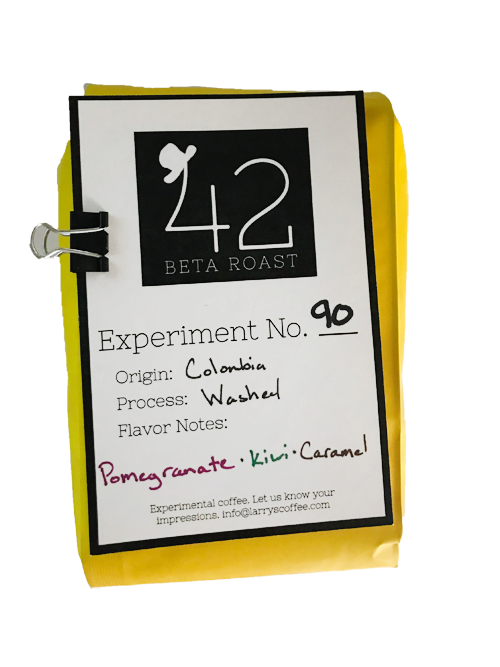 A new roast created by our Experimental Roast team. "Polymath" is a microlot farmed by Oscar Omar Alonzo. This coffee is only available in very small quantities. They only roast this on Tuesdays and Wednesdays. So when you order, please know that it will ship the Tuesday or Wednesday after it roasts. This coffee is only available here, our retail area at the bean plant and of course at our Coffee Lab: 42 & Lawrence.